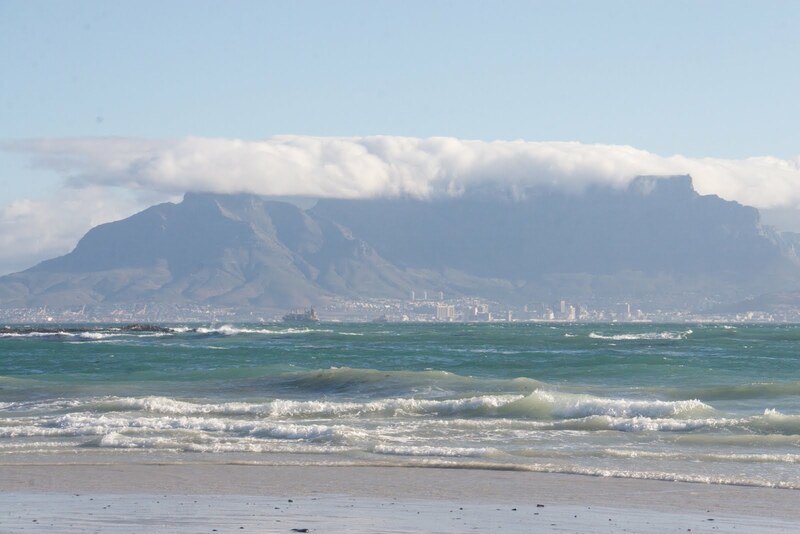 Table Mountain dominates Cape Town, everyone knows that. 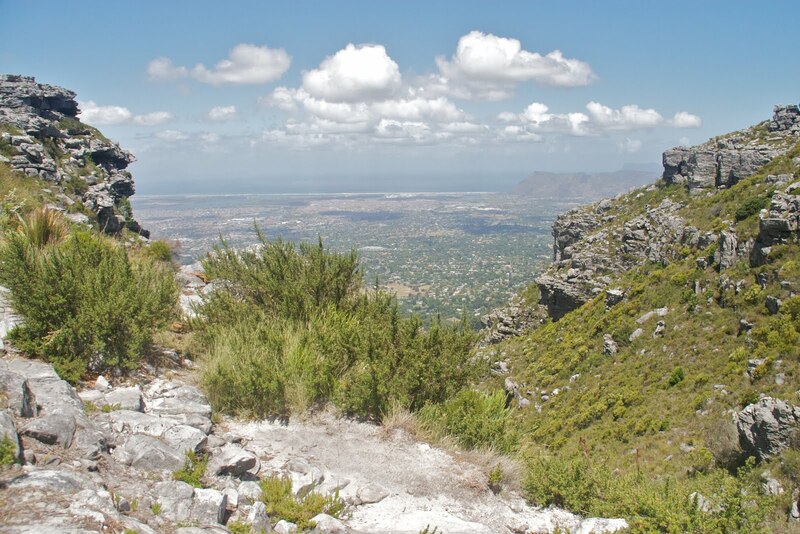 But did you know how many different parts and pieces and sides there are to Table Mountain? Because that has taken me entirely by surprise. 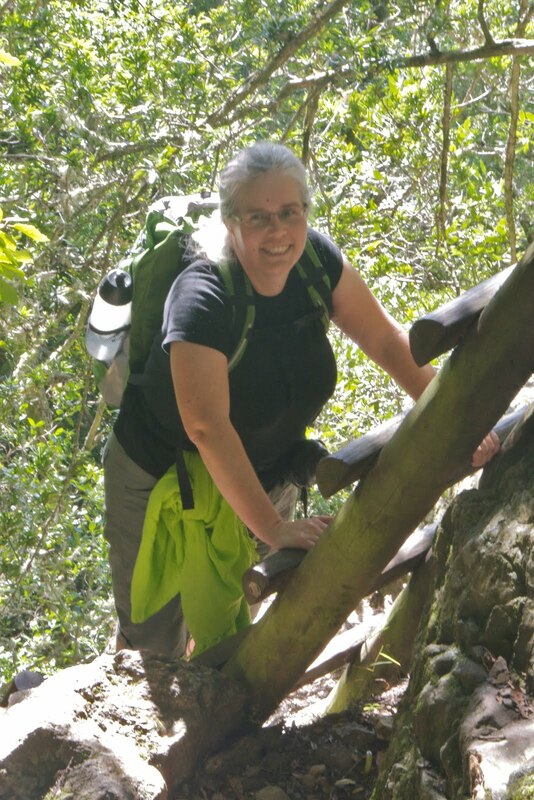 I expected the classic, flat topped view of the mountain that you see from Big Bay, but yesterday Marie, Helen, and I climbed Skeleton Gorge for an entirely different perspective. 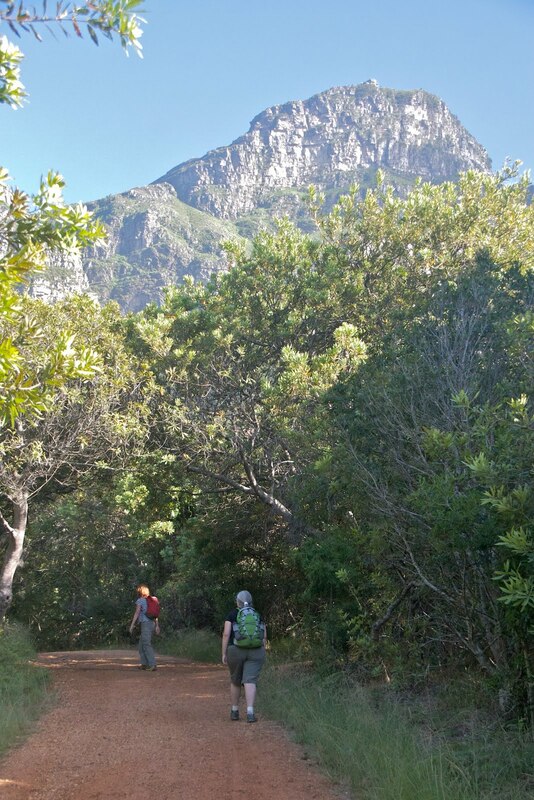 Entering through Kirstenbosch Botanical Garden, we left the manicured lawns and beds behind and scrambled up a rocky trail. The shady path ended in a series of ladders to help hikers over the steepest bits. At the top of the gorge we had options. 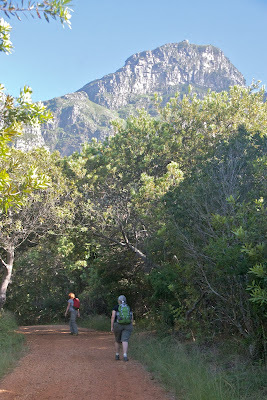 We would eventually walk to the reservoirs and down Nursery Ravine, which would have made a 5-6 hour loop on its own. But the motivation for our walk necessitated a detour and so we headed in the direction of Maclear's Peak, the highest point on Table Mountain. 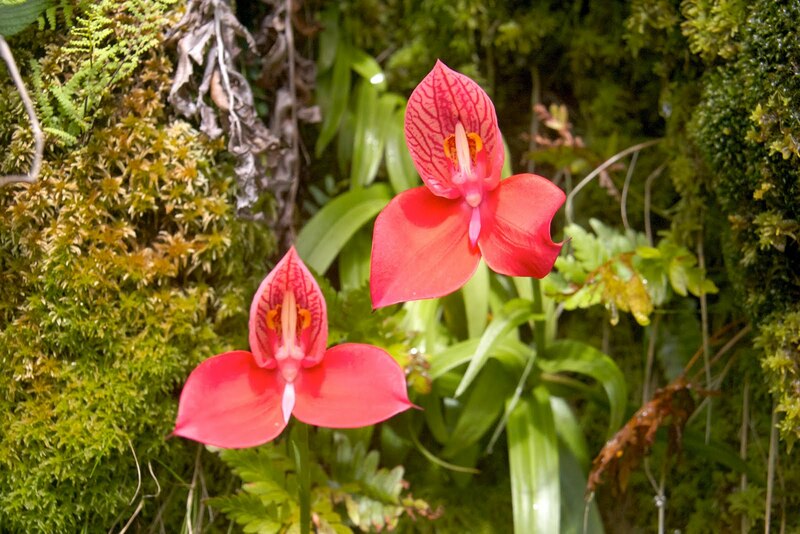 This part of the path includes a stream and an aqueduct famous for its Disa uniflora, a brilliant red orchid that is in high season. I wasn't entirely prepared for the size, beauty, and quantity of this orchid. It grew on rock walls dripping with wet moss, hanging over pools of water brown from tannins. 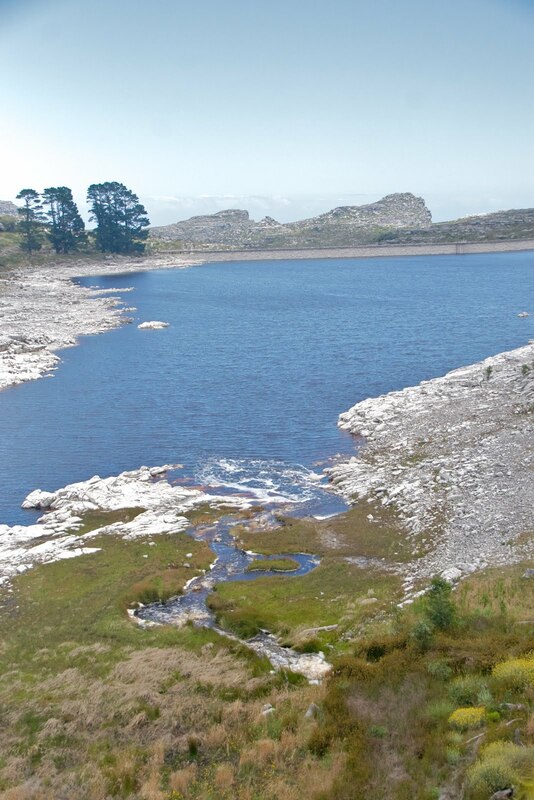 Instead of continuing to Maclear's Peak we cut down to the Hely-Hutchingon Reservoir following a dry stream bed. 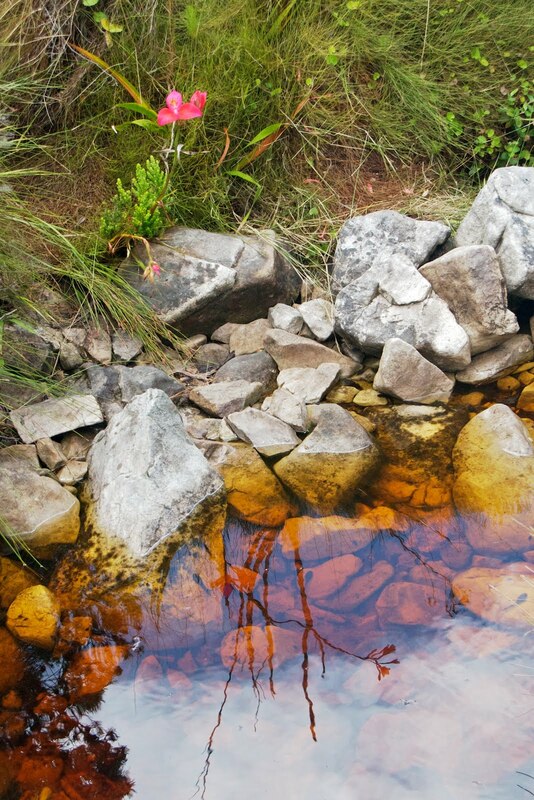 It was another rocky scramble, and at one point I turned to see a look of absolute astonishment on Marie's face. I knew it couldn't be the orchids; we'd become almost jaded about them by now. She pointed up and said, "Klipspringer." 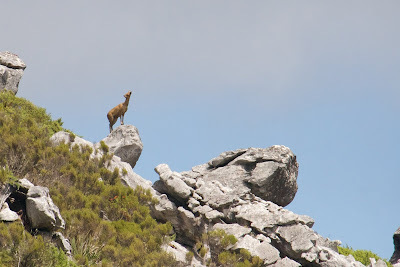 Apparently it's quite rare to see these nimble beasts on Table Mountain...even rarer to have them stand still long enough for a photograph or two. then perhaps the most difficult part of the hike: an hour of steep downhill steps, some rocks and boulders, some steps built into the mountain. A lone flower of the Giant Protea (entirely out of season) brightened the journey and distracted me from my creaky knees. 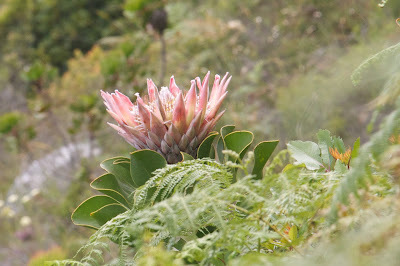 Seven hours after we started, we re-emerged onto the lawns of Kirstenbosch. I wish I'd taken more pictures, but I grew weary of pulling my camera in and out of my backpack. 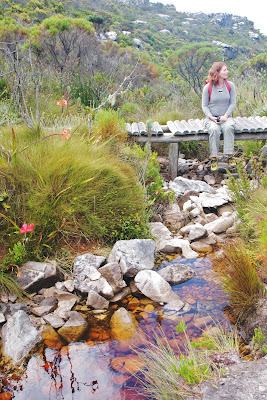 For more (and more lovely) photos, see Marie's post from last January when she hiked the same route with Vince. 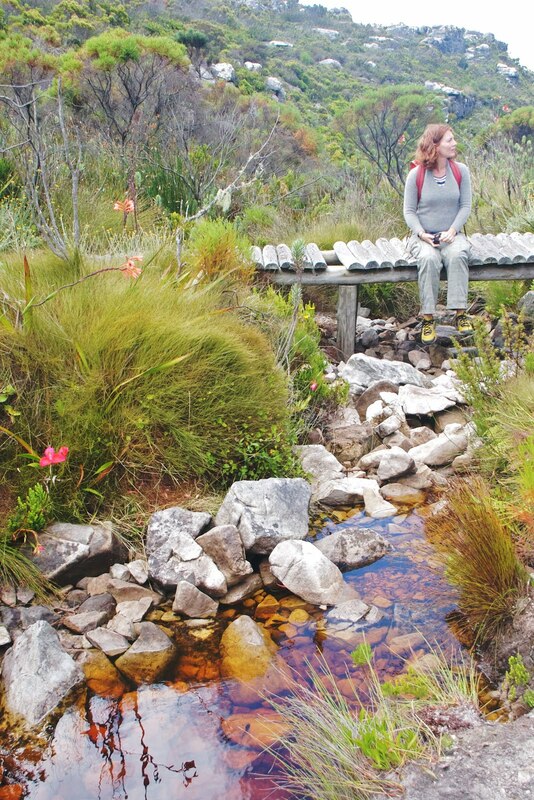 The klipspringer is a wonderful happy ending to a long sad story. 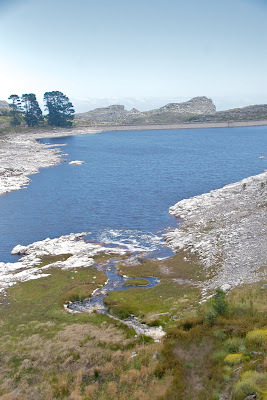 Cecil John Rhodes left us Himalayan mountain tahr, who were destroying the fynbos vegetation. The tahr were steadily removed amongst animal rights protests. 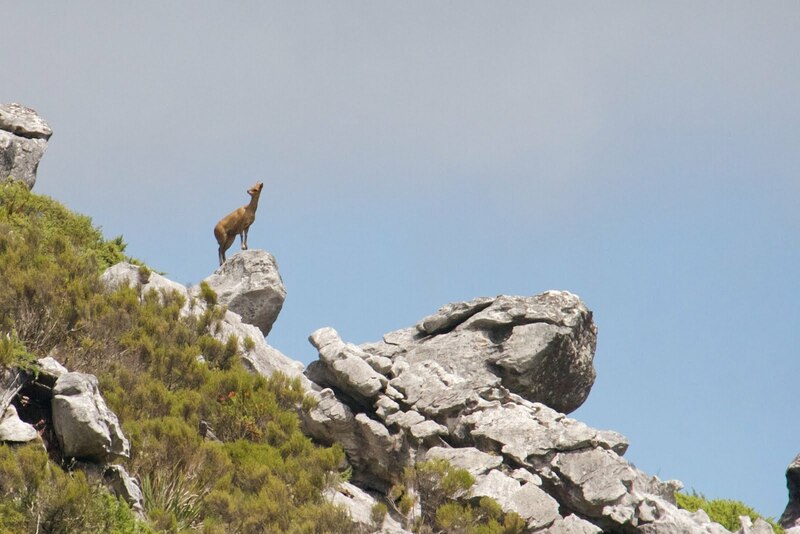 It is wonderful to see a successful klipspringer returned to his home on Table Mountain!! Astounding images over the last few days! They are so welcome as winter has finally arrived in Cincy with even a touch of snow. I'm with your mom ... don't move there quite yet. Not until some of us figure out a way to visit. 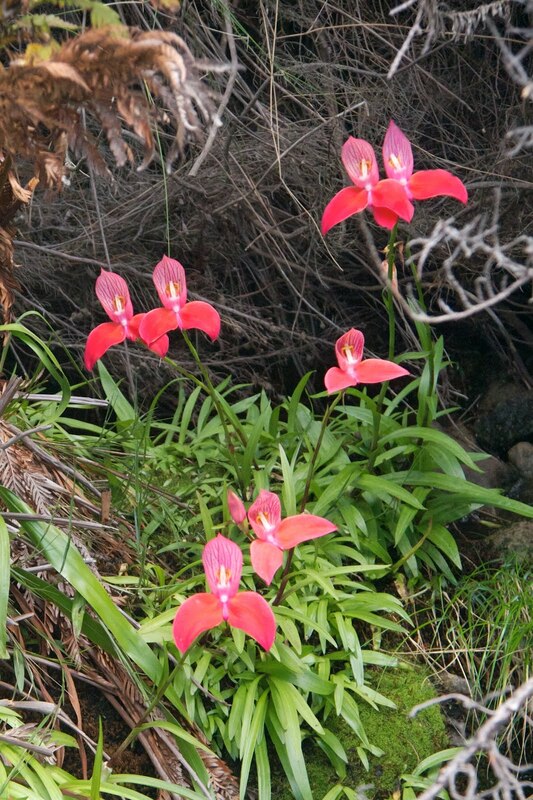 The red orchids, the lone protea, the lone mountain critter, the vistas, the garden shots, the city vegetable garden!The images stick with me through the day.